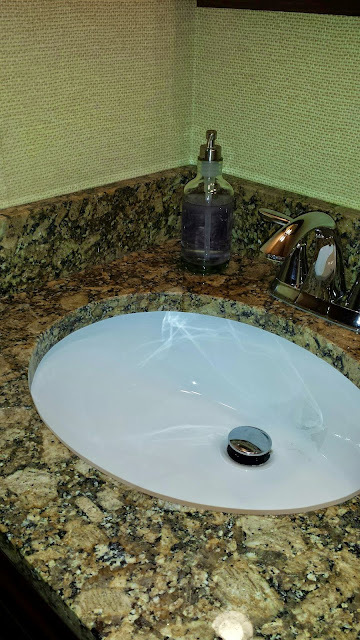 As I was calking the backsplash on my new sink (more to come on that) I remembered back to a Pintrest post that I believe was from Martha Steward about using caulk to make a rug non stick. I had an open can of caulk and a slippery rug so I thought I'd give it a try. I only paid $13.00 for the rug so it was really no be loss if the rug had to be scraped. I started with a line across of the rug about every foot. 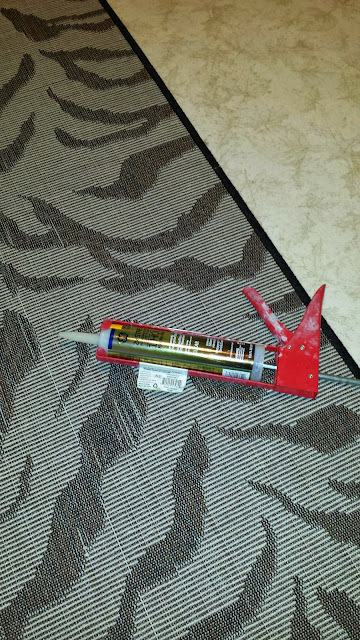 Its best to really press the tip of the caulk into the rug so it produces a flatter line as opposed to a bead of caulk. I'm afraid the areas that turned out as a bead may peel off over time. The caulk states it's "rain ready" in an hour but I waited about 3 hours before putting it back. I didn't want the reason it stuck was because it was glued to my hardwood floors. It is a little hard to tell, but you can see the caulk likes about every foot. Once dried I put it back and it worked!! The rug didn't budge, even when the 3 dogs ran down the hallway this morning. I walked back and forth trying to see if I could feel the caulk underneath but it was pretty smooth. I have so many of the rug pads that you put underneath and they ALWAYS seem to move, it drives me nuts. I'm hoping this will be a fix! 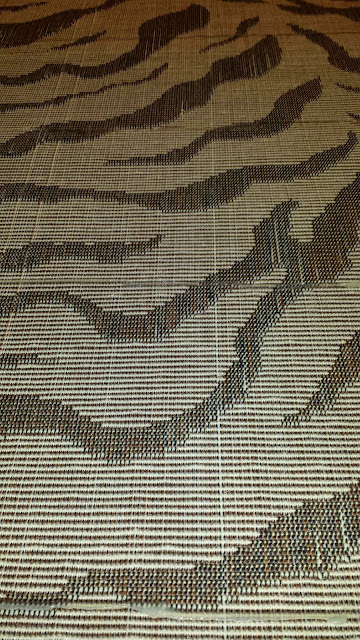 This rug has a stiff back to it, I have two other rugs that are more like a throw rug, so really no backing. I'm going to try them next as they NEVER stay in place and the backing never stay in place. Thinking of putting the caulk in a grid patter? I'll let you know how it goes!